Blackrose Industries was founded in the spring of 2014 with the goal of becoming a leading game and web development company. In truth, Blackrose Industries, as a business entity, is a much older company. Different manifestations of it have come and go with the popular Massively Multiplayer Online(MMO) games of the day. Most notable was its presence in EVE Online as a shipbuilding company under the name of Blackrose Manufacturing. It was there that Blackrose Industries began its long standing tradition of providing quality products at a reasonable cost. Quality games take a considerable amount of time to produce. On top of that, it can take a couple years before even a successful game can catch on. This obviously poses a significant financial burden on most startups. This is the primary reason why Blackrose Industries engages in web development as well. Project durations are shorter and provide a more predictable and a more immediate source of income. On top of that we also have a passion for web development, having built numerous web based applications and websites. Phil has always had a passion for making things. Whether it be with Lego and Erector sets as a boy, or video games and websites today. His drive and dedication is unmatched, even to the point of madness. Phil graduated from the University of Central Florida with a BA in Digital Media and a Minor in Computer Science. He later obtained a MS in Interactive Enterainment from the Florida Interactive Entertainment Academy in Orlando, Florida. Frequently, he can be found running his manufacturing business in EVE Online or developing his own games. Phil is also a Certified Scrum Master and has an ever growing sword collection. As the owner of Blackrose Industries, I often get asked about the origin of the name "Blackrose". "BlackRose" was the name of a character in the .hack anime and video game series. At the time it was inconsequential. 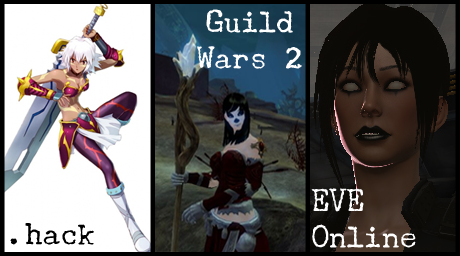 Later on a popular MMO called Guild Wars would be released. I was creating a female necromancer and wanted a name that would fit the character and the ambiance of the game. "Felicity" was chosen due to its similarity to "Phillip," and "Blackrose" was chosen to reflect the character class and ambiance of the game. "Felicity Blackrose" would become my main character and ultimately would evolve into a moniker for online gaming. Years later, in EVE Online, I would start a ship manufacturing business under the unofficial name of Blackrose Industries, with Felicity Blackrose at its head.